Is this the official website for the VA? You can apply for a VA home loan at any mortgage company that is VA approved and participates in the VA home loan program. One of the fastest ways to apply is to call (866) 240-3742 to be immediately connected with a licensed lender or complete a short form online. Years ago, VA financing was more complicated than conventional financing. However changes over the years have streamlined the VA home loan process and in many cases, the VA home loan process is now easier than some conventional financing programs. Apply for your VA mortgage here. 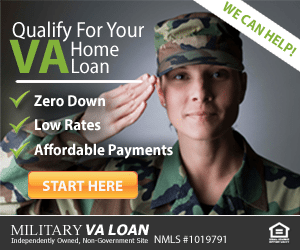 Are there any fees required for a VA Loan? There is a funding fee required by the Department of Veteran Affairs, that varies between 0.5-3.3% of the amount of the loan depending on your current Veteran Status and the type of loan. The funding fee is added into the total loan amount, so the borrower is not required to pay this out of pocket. In some cases, the funding fee is waived for veterans disabled in the line of service. This waiver is determined by VA. For more information, see our section about VA funding fees. I have already received one VA home loan. Can I get another one? Yes, depending on the circumstances. If you have paid off your prior VA home loan and disposed of the property, you can have your entitlement restored for additional use. Call (866) 240-3742 to speak with a licensed lender who can review your personal situation and let you know if you can receive another VA loan. Check today’s VA loan rates. I have sold the property I obtained with my prior VA home loan on assumption. Why can’t I get my entitlement restored to purchase a new home? In this case, your entitlement can only be restored if the assumer is also an eligible veteran who is willing to substitute his or her entitlement for that of your original entitlement. Otherwise you cannot have your entitlement restored until the assumer has paid off the VA home loan. The veteran should obtain a Certificate in Lieu of Lost or Destroyed Discharge. Any VA Veterans Benefits Counselor at the nearest VA office will assist a veteran in obtaining necessary proof of military service. Also, see our page on how to obtain your DD-214. Get pre-approved for a VA loan here. Can a veteran get used entitlement back to use again? A qualified veteran-transferee (buyer) must agree to assume the outstanding balance on the loan and agree to “substitute” his or her entitlement for the same amount of entitlement you originally used to get the loan. The buyer must also meet the occupancy and income and credit requirements of the law. To find out more, call (866) 240-3742 to speak with a licensed lender who can assess your specific situation. Or, contact us via on online form. Does the issuance of a certificate of eligibility guarantee approval of a VA home loan? No. The veteran must still be found to be qualified for the loan from an income and credit standpoint. Although there is no maximum VA home loan (limited only by the reasonable value or the purchase price), lenders generally limit the maximum to $417,000 because the loan is sold in the secondary market. However, in some cases the lender may allow for a higher loan limit in some geographic areas, depending on current VA loan limits. Read more about VA jumbo loans. Is a VA guaranteed loan a gift? No. It must be repaid, just as you must repay any money you borrow. The VA guaranty, which protects the lender against loss, encourages the lender to make a loan with terms favorable to the veteran. But if you fail to make the payments, you may lose your home through foreclosure, and you and your family would probably lose all the time and money you had invested in it. If the lender does take a loss, VA must pay the guaranty to the lender, and the amount paid by VA must be repaid by you. Request a free quote from a licensed lender. Can a veteran get a VA loan to buy or construct a residential property containing more than one family unit? Yes, but the total number of separate units cannot be more than four if one veteran is buying. If more than one veteran is buying, then one additional family unit may be added to the basic four for each veteran participating; thus, one veteran could buy four units; two veterans, five units; three veterans, six units, etc. If a veteran dies before the VA loan is paid off, will the VA guarantee pay off the balance of the loan? No. The surviving spouse or other co-borrower must continue to make the payments. If there is no co-borrower, the loan becomes the obligation of the veteran’s estate. Protection against this may be obtained through mortgage life insurance, which must be purchased from private insurance sources. Can a veteran get a VA loan to pay off the mortgage or other liens of record on his or her home? 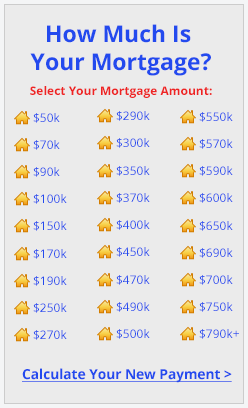 To pay off the mortgage and/or other liens of record on the home. In some cases, the loan may not exceed 90 percent of the reasonable value of the property as determined by an appraisal, plus the funding fee, if required. However, some lenders will allow up to 100% of the appraised value. The loan may include funds for any purpose which is acceptable to the lender, plus closing costs, including a reasonable number of discount points. A veteran must have available home loan entitlement. An existing loan on a manufactured home (except as noted below) may not be refinanced with a VA guaranteed loan. To refinance an existing VA home loan to obtain a lower interest rate. Use of additional loan entitlement is not required. The loan amount is limited to the balance of the old loan plus the closing costs, discount points, funding fee, and up to $6,000 in energy efficient improvements. An existing VA home loan on a manufactured home may be refinanced to obtain a lower interest rate. Complete this short online form for more information on VA loans or to get a rate quote.